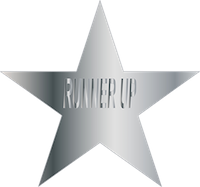 FORT MYERS April 5, 2015 — Open Pages Publishing LLC has been selected for the 2015 Best of Fort Myers Award in the Publishers category by the Fort Myers Award Program. The Fort Myers Award Program was established to recognize the best of local businesses in our community. Our organization works exclusively with local business owners, trade groups, professional associations and other business advertising and marketing groups. Our mission is to recognize the small business community’s contributions to the U.S. economy. Essential Tips for Parents: Teenage Temptations; Teachable Moments; and More! Turn on the news or pick up the newspaper and most likely the stories you read will include bullying, sexting, car accidents, burglaries, and/or other types of acts being committed by teenagers. The pressure on our teenagers is too much for many of them to handle. When you consider the teen years are a period of intense physical and intellectual growth, it is understandable that it is a time of confusion and upheaval for both teens and parents. 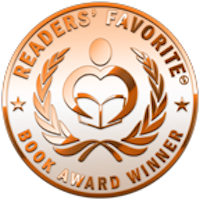 About the Author: Michele Sfakianos, RN, BSN – Registered Nurse, Life Skills Expert, Award-winning Author, and Speaker, living in sunny SW Florida. Michele has worked her way through the different areas of nursing including Medical/Surgical, Pediatrics, Oncology, Nurse Recruiting and Nursing Informatics. She has been previously published in Poetry Books and a Nursing Journal. Her books include Useful Information for Everyday Living; The 4-1-1 on Life Skills; The 4-1-1 on Step Parenting; and now The 4-1-1 on Surviving Teenhood. Essential Tips on: Communicating & Bonding; Combining Families; and More! Tips on how to deal with the extended family. About the Author: Michele Sfakianos, RN, BSN – Registered Nurse, Life Skills Expert & Speaker, living in sunny SW Florida. Michele has worked her way through the different areas of nursing including Medical/Surgical, Pediatrics, Oncology, Nurse Recruiting and Nursing Informatics. She is the owner of Medical Matters, LLC a Legal Nurse Consulting firm. She has been previously published in Poetry Books and a Nursing Journal. Her books include Useful Information for Everyday Living; The 4-1-1 on Life Skills; and The 4-1-1 on Step Parenting. 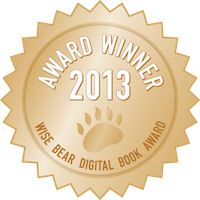 The 4-1-1 on Step Parenting was nominated in the Global eBook awards contest. 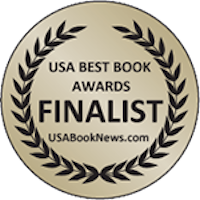 Your book had been honored as a "Finalist:" in the "Parenting/Family: General" category. Are you ready to meet the challenges of Life? Essential Tips on: Home & Money Management; Personal Care & Safety, and More! Fort Myers FL: This book started out as notes for my daughter and then blossomed into a book for adults of all ages. This is a book about the basic skills needed for everyday living that are not always taught in school or at home. Basic aspects included are Cooking; Cleaning; Healthy Eating; Buying a Home; Gift Giving; Relationships; Finances; Funeral Planning and much, much more. This book is for those that are leaving home for the first time, or those that were in a long term relationship and are now single and don’t know where to start. It is my hope that this book will help those that need it and will be passed onto others that could benefit from it. About the Author: Michele Sfakianos, RN, BSN – Registered Nurse, Life Skills Expert & mother, living in sunny Florida. Michele has worked her way through the different areas of nursing including Medical/Surgical, Pediatrics, Oncology, Nurse Recruiting and Nursing Informatics. She is the owner of Medical Matters, LLC a Legal Nurse Consulting firm. She has been previously published in Poetry Books and a Nursing Journal. Her books include Useful Information for Everyday Living; The 4-1-1 on Life Skills; and The 4-1-1 on Step Parenting. 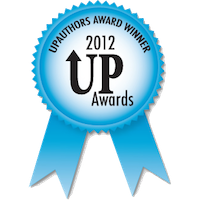 The 4-1-1 on Life Skills received Honorable Mention in he 2011-2012 Los Angeles Book Festival for the "How-To" category. Honorable Mention in How-To category.